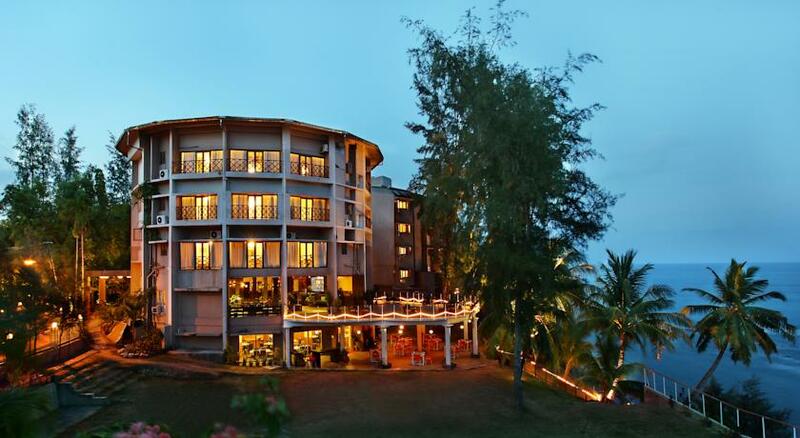 Sinclairs Bayview Port Blair is perfectly located on a cantilever on the sea where coral reefs, marine life and tropical rain forests make the beauty of Andaman and Nicobar Islands. 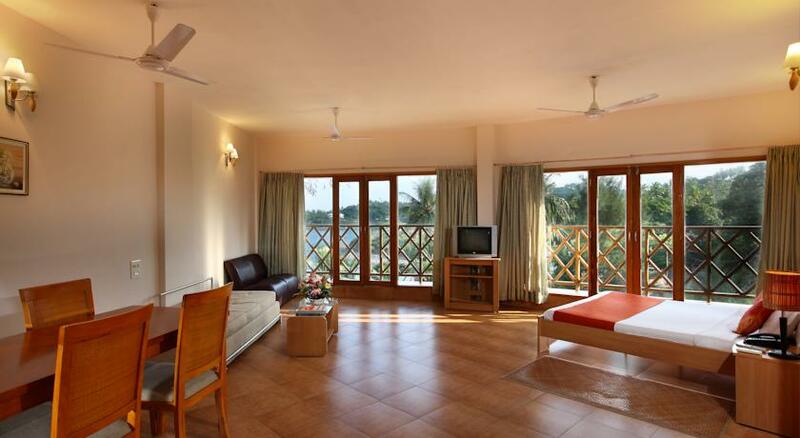 Located at South Point in Port Blair, the surrounding white sandy beaches, crystal clear water and palm trees by the shore make this hotel a luxury and comfort spot to stay at. 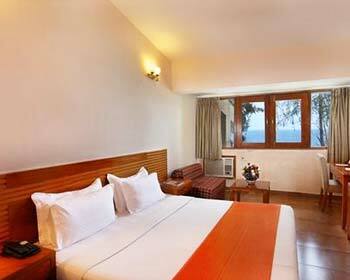 Hotel Sinclairs can be reached a short drive from Vir Savarkar International Airport. For recreational activities hotel arranges for scuba diving, water sports, snorkeling and sea side swimming pool with sea deck. 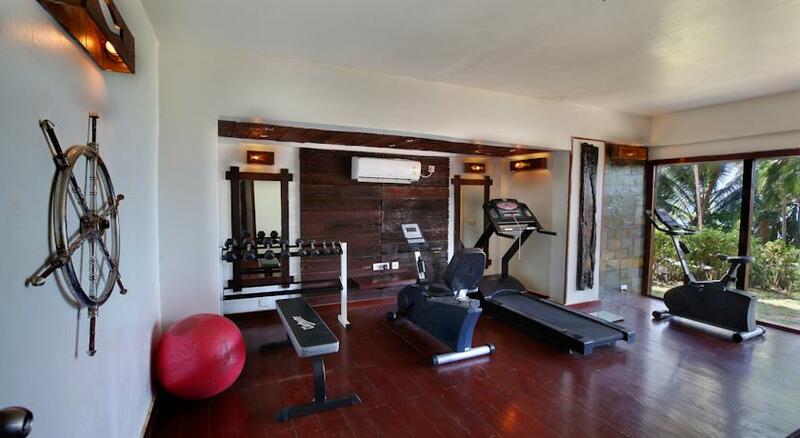 Try their Gym or rejuvenating Laya Spa for various spa treatments and massages. For your delight hotel takes you to local excursions and bonfire also. Pool table and marine view gallery is popular among guests. Deluxe room is modernly furnished and generously spacious. The rooms are well equipped to welcome leisure travelers, business travelers and small groups visiting to this group of islands. 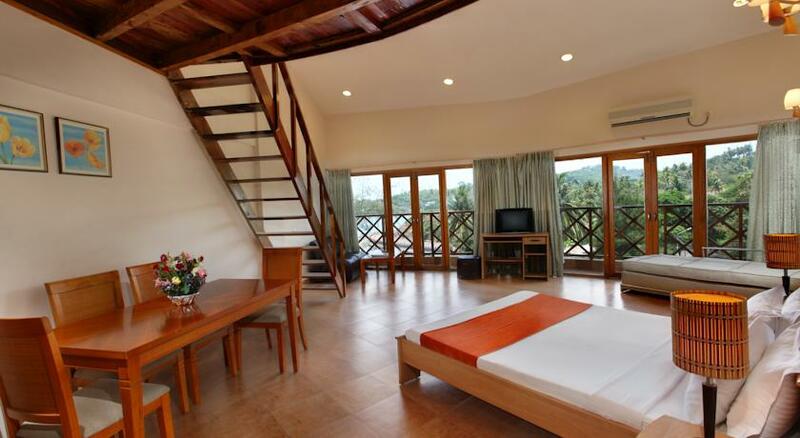 The fully air conditioned room has a King Sized double bed, window side sofa and table. The room windows open to a beautiful view of manicured gardens during day and cool sea breeze of setting sun at evening. The simple and elegant décor of the room is lit up by dim lighted lamps. The attached private bathroom has walk-in shower, hair dryer, hot and cold running water facility and well equipped with bathroom amenities. Your complimentary in-room amenities are – color television with satellite channels, internet access, refrigerator, complimentary newspaper, tea coffee maker, direct dial telephone facility, well stocked mini bar, electronic safe, iron, laundry service and room service. Room Size: 437 sq ft.
Premier room is extra spacious and luxury room for business travelers, families and small groups for a pleasant stay. The local style bedside lamps sparkle the ambiance of the room. 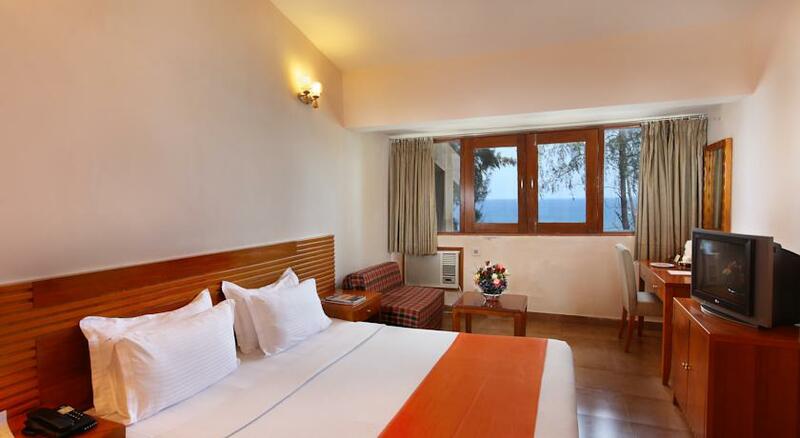 Use of wall paintings, premium bed linen and simple décor bring warmth to your stay. The fully air conditioned Premier room has a King Sized bed room with spacious seating arrangements and separate executive work desk. 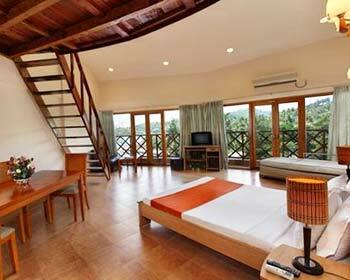 The attached private balcony will inspire you to witness sunset view over Bay of Bengal. 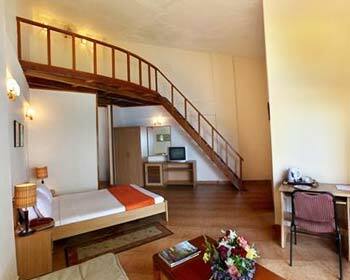 At your comfort the room is equipped with cable television for entertainment, direct dial telephone to stay connected, hi-speed internet access, mini refrigerator, tea coffee maker, electronic safe, mini bar, iron, room service and laundry service. The aesthetic look private bathroom has walk-in shower, hair dryer and well equipped with bathroom toiletries. 24 hour running hot and cold water facility is provided. 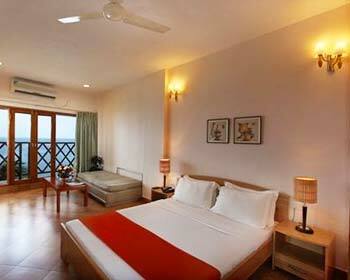 Room Size: 640 sq ft.
Valentine Room goes by its name for a romantic stay in Port Blair. The room appeals couples to unwind themselves. Valentine room is a touch of British colonial style décor and furnishing. The fully air conditioned room has a soft King Sized bed, spacious seating by the window, 4 seater dining furniture and ergonomic executive work desk. 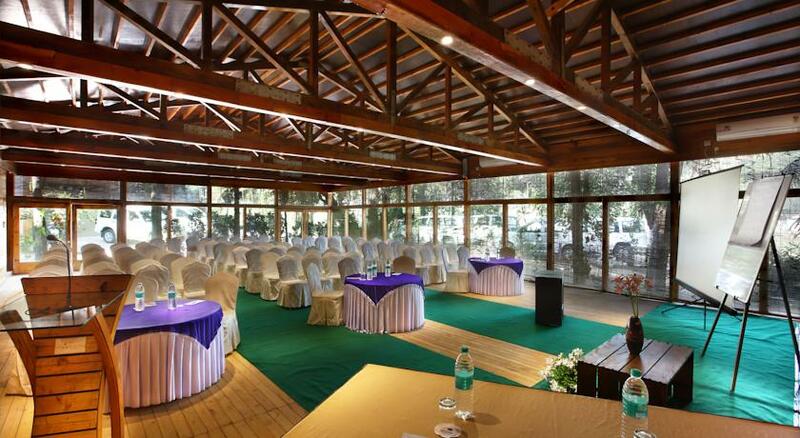 The floor to ceiling sized glass windows on two sides make a romantic sunset charm in the evening for new couples. The colonial style paintings, rich upholstery, stylish curtains keep the ambiance of the room for a warm and relax stay. The discreetly styled private bathroom has a romantic bathtub to soak in, hair dryer, cotton towels, essential luxury toiletries and round the clock hot and cold running water facility. The vitrified tiled room maintains the charm of luxury with well stocked mini bar, cable television, internet access, tea coffee maker, direct dial international calls facility, electronic safe, laundry service, refrigerator, newspaper, iron and room service. Room Size: 550 sq ft. The unique concept of all, Premier Attic Room comes with a 100 sq ft attic on the upper floor to accommodate kids. 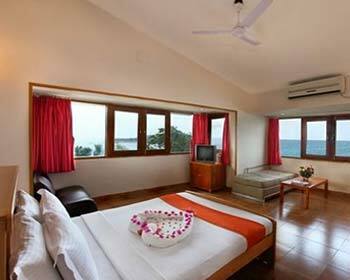 The room is mainly booked by families on a holiday trip to Andaman & Nicobar. The attic has a double bed for kids and equipped with basic amenities. The spacious bedroom downstairs has a King Sized bed, window side dining arrangements for family, seating sofas and executive work desk. 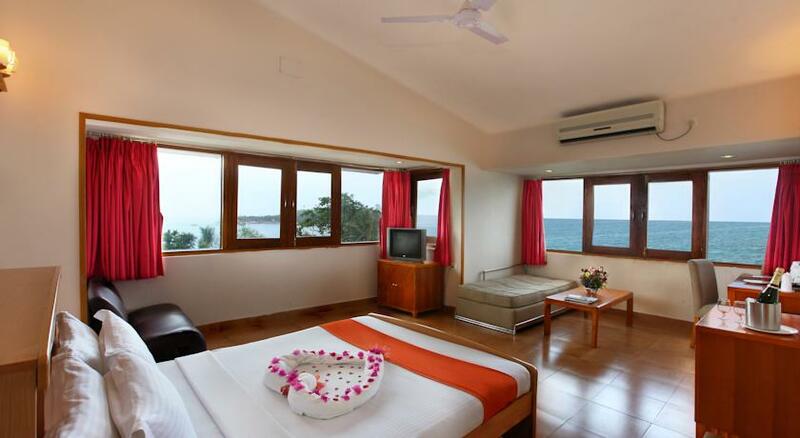 The room windows will keep the adequate sunlight and sea breeze to add charm to your stay. The fully air conditioned room provides cable television for entertainment, well stocked mini bar, Wi-Fi internet access, tea coffee maker, direct dial international calls, in-room safe, laundry service refrigerator, iron, complimentary newspaper and room service. Wooden flooring, premium bed linen and island touch wall paintings are waiting at your welcome. The luxurious private bathroom has bathtub and shower combination with hot and cold running water, hair dryer, cotton towels and well equipped with luxury toiletries. 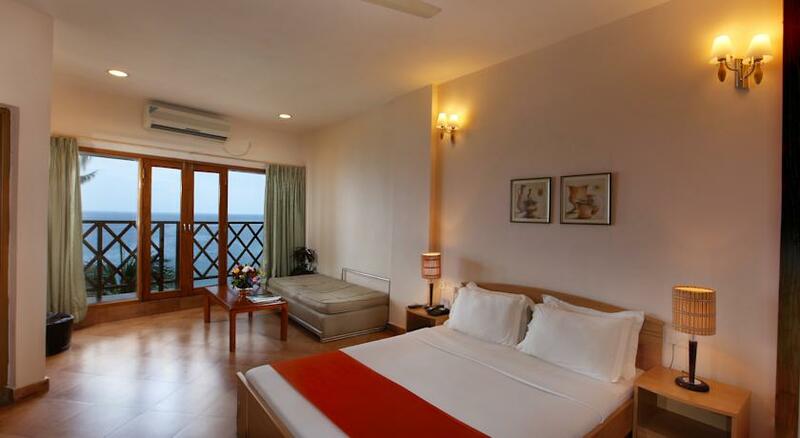 The luxury lifestyle Premier Suite is well equipped to host families and small groups for a quality leisure time at Andaman and Nicobar Island. The fully air conditioned suite has vitrified wood texture tile flooring, premium bed linen, designer lamps and local style wall paintings. The British colonial style decorated spacious bedroom has a King Sized bed, window side plush sofa seating, dining arrangements for 4 members and space for executive work desk. 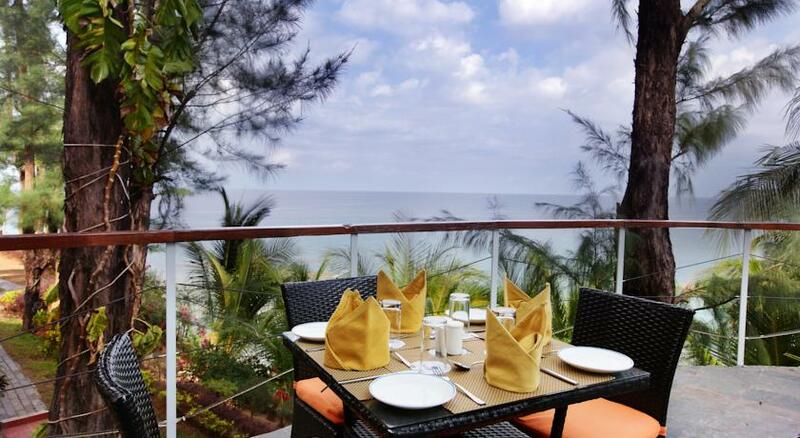 The full length attached patio opens to Bay of Bengal view lined up with Palm trees by the shore. At your luxury comfort, the room amenities with your stay are – hi-speed internet access, color television with satellite channels, well stocked mini bar, direct dial international call telephone connectivity, tea coffee maker, in-room safe, refrigerator, iron, complimentary newspaper and room service. The modern furnished private bathroom has bathtub to soak-in, hair dryer, cotton towels, hot and cold running water and well equipped with luxury toiletries. 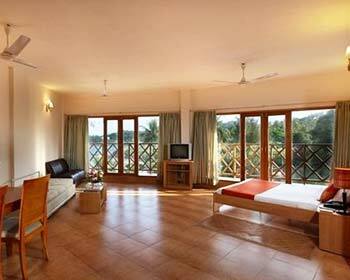 The extra spacious and luxury loaded suite is the best place for a family hangout at Port Blair. The British colonial style decorated spacious bedroom has a King Sized bed, window side plush sofa to relax, dining arrangements for 4 members and ergonomic executive work desk. This suite showcases a different and additional feature of having an attic for children. This completely wood made attic is 120 sq ft arena for an undisturbed kid’s activities on the upper floor. The attic has a double bed for kids and equipped with basic amenities. The fully air conditioned suite has vitrified wood texture tile, premium bedding, designer lamps and local style wall paintings. The full length attached patio opens to Bay of Bengal view lined up with Palm trees by the shore. The luxury amenities with your stay are color television with satellite channels, well stocked mini bar, Wi-Fi internet access, tea coffee maker, direct dial international calls, in-room safe, refrigerator, iron, complimentary newspaper and room service. The luxurious private bathroom has bathtub to soak-in, hair dryer, cotton towels, hot and cold running water and well equipped with luxury toiletries. 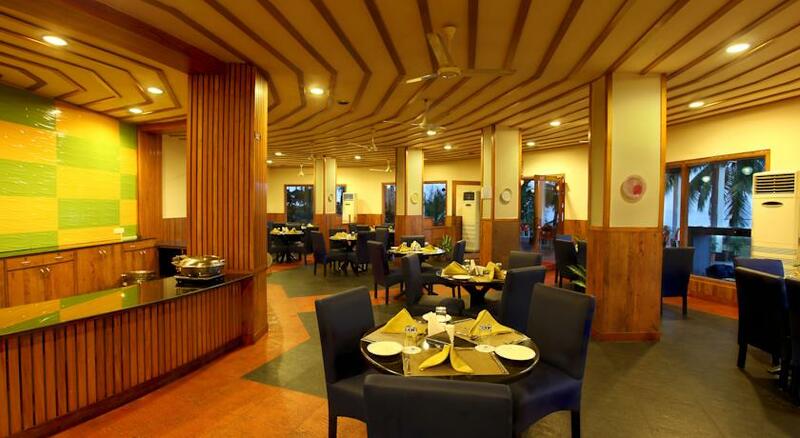 The Bayview is an informal multi-cuisine restaurant at the hotel. This is an interesting deck made overlooking the beach with a wooden roof and open sides. Open for breakfast, lunch and dinner the expert chefs try their hands on delicious Indian and International cuisines. Their seafood offering is a must try. 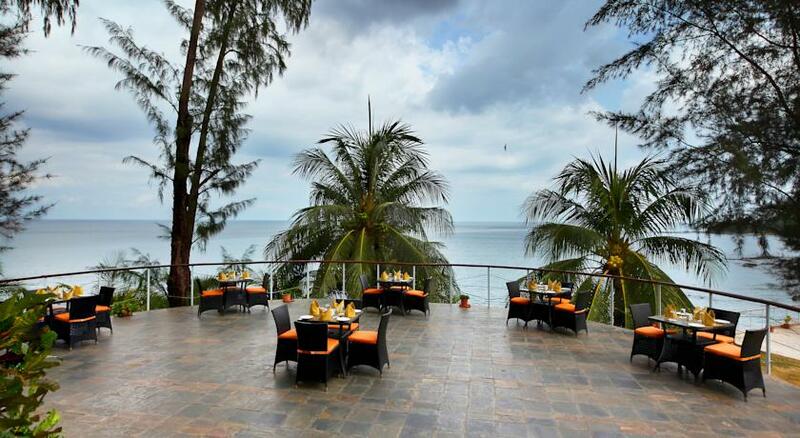 The restaurant is beautifully surrounded by Palm trees and a panoramic Andaman sea in the back drop. 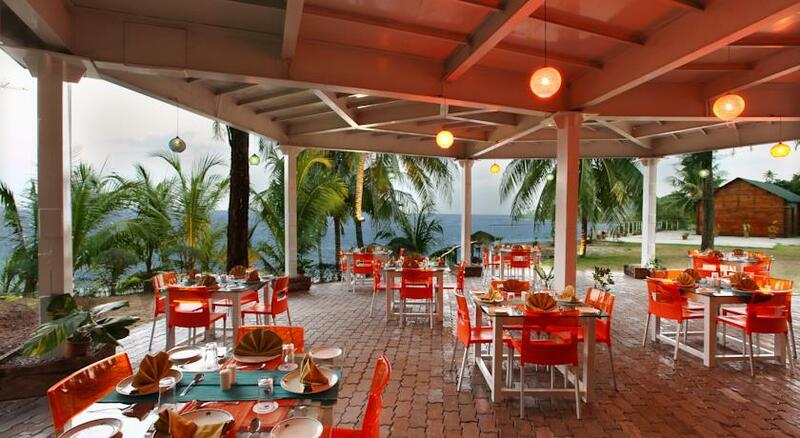 Dining here will let you experience the cool sea breeze and the waves thumping by your side during day. While late evening dine in the ambiance lighting and setting sun over sea make it more romantic. Alto Espirito is a sophisticated Spanish styled bar. The relaxing ambiance invites you to hang out with friends, to interact with new companions and to spend some leisure time reading some books or a game of Pool. 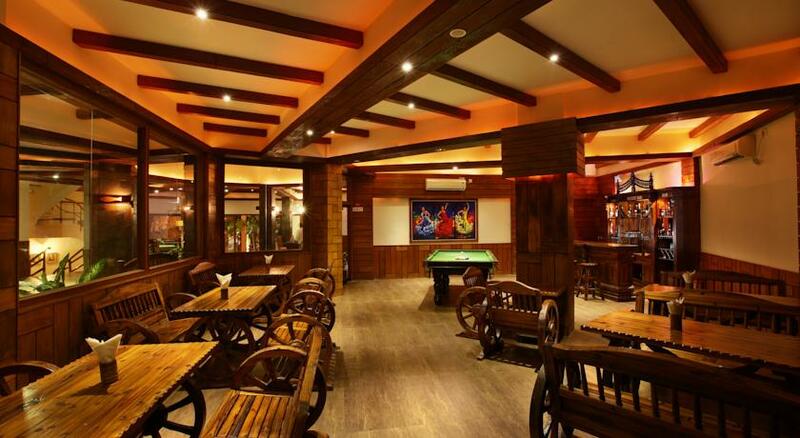 This old world ambiance of complete wooden architecture is given a modern touch of crafted roof, stylish wood carved seating, wood flooring and artistic crafted décor. Alto Espirito offers a wide range of domestic and internationally famed wines, alcohols and spirits. Open till late night hours try their hand picked offerings of cocktails and mocktails joined with light meals or finger snacks. The terrace is a unique set up to give a feel to guests as if they are sitting on a deck of a ship. The moving waves, waving palm trees and cool sea breeze add authenticity to this experience. This is a multi-cuisine restaurant where prior booking is done. Open all day, it is perfect to dine in in evening hours to experience the setting sun and the delicious meal. Guests can savor Indian and International dishes with authentic local seafood offerings. On special requests, restaurant will also provide light snacks served at the bar. When you are with your loved ones or on a honeymoon, do not miss to surprise them with special private dining arrangements made by the Hotel. From the least thought corner to quiet terrace your table location can surprise you anytime. The candle light dining is to cherish those special moments. A four course meal, specially designed by the expert chefs, is served by a special butler at your hospitality. Your choice of wine or exotic cocktails and mocktails offerings will improve the dining experience. All you have to do is be active and book a private dining in advance at the reception or with the restaurant manager.